Were you seriously injured in a car crash because of another driver’s recklessness? Have you recently lost a member of your family due to the irresponsible actions of a business or corporation? If so, the experienced personal injury lawyer Frank D. McIntyre can protect you from being taken advantage of by insurance company attorneys who do not have your best interests at heart. As attorneys, we understand how difficult this time is for you and your family. At our firm, you will work directly with one of our attorneys throughout the process. We take pride in promptly returning our clients’ calls and the entire office staff is helpful and available to answer your questions if Mr. McIntyre is not immediately available. As your claim progresses, we will be sure to let you know about developments in the case—even when the news is not good. 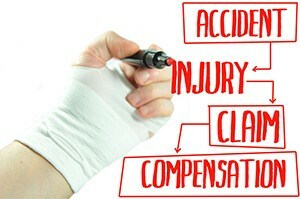 If we are not able to obtain a verdict or settlement in your favor, you will pay our firm no attorneys’ fees whatsoever.